Gov. 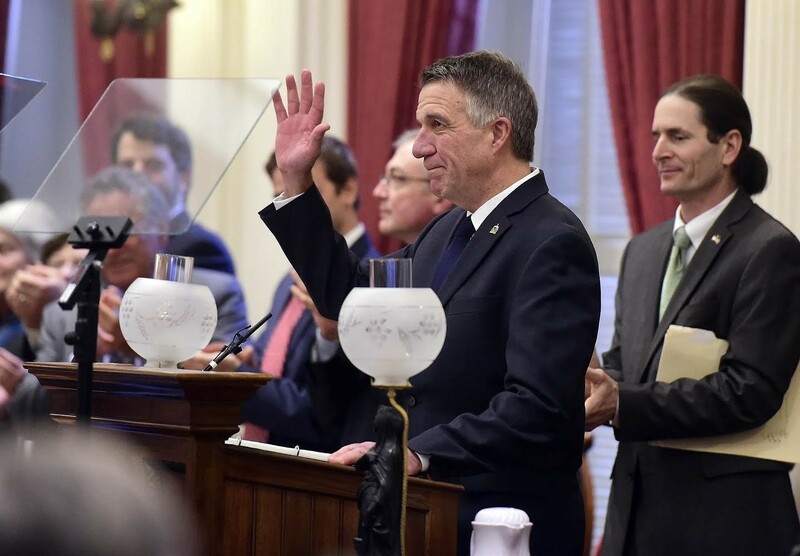 Phil Scott delivers his State of the State address Thursday at the Vermont Statehouse. Gov. 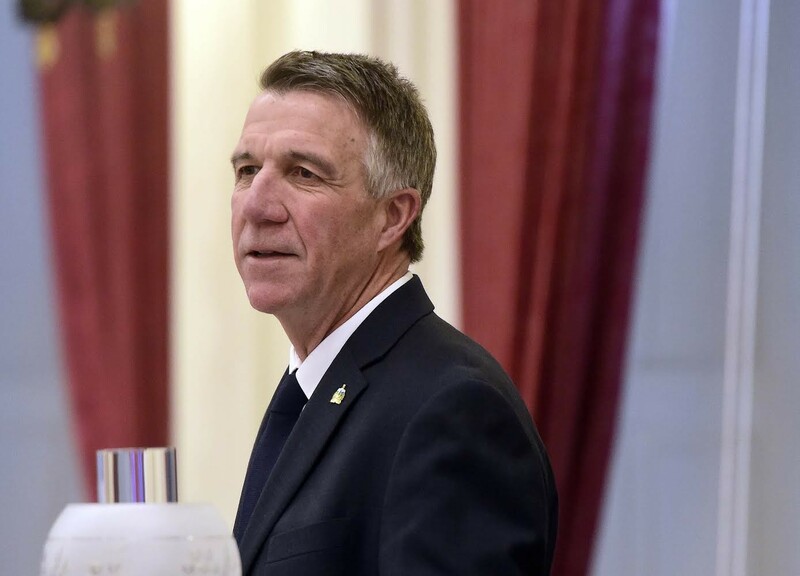 Phil Scott opened his first State of the State address Thursday by touting what he doesn’t plan to do: raise taxes or fees. Providing a bleak assessment of Vermont’s economy, Scott proposed one major remedy: Bring more workers to the state. 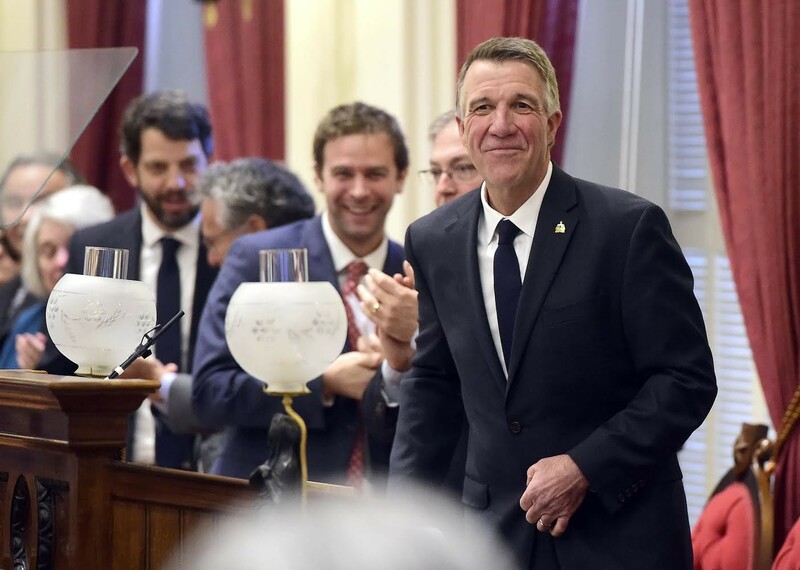 The first-term Republican pledged to undertake a "bold, sophisticated campaign to identify and persuade working-age individuals, families and entrepreneurs to relocate [to] Vermont." The specific recruitment ideas he offered were modest and mostly targeted at military service-members and veterans. They included paying full college tuition for members of the Vermont National Guard and eliminating state income taxes on military pensions. He also pledged to entice working-age residents to stay in Vermont, in part by expanding the state’s adult technical education program. Scott argued that, in his first year in office, he had helped the state "stop digging" itself into a deeper financial hole, but he suggested that there was more work to be done. "Having fiscal discipline means facing facts," the governor told the packed House chamber. Emphasizing the state’s shrinking student population, Scott called on lawmakers to work with him "to transform our K-12 system, based on the needs of our kids and not nostalgia." He said he would not accept higher statewide property taxes, though he did not explain how he would achieve that goal. Scott urged the legislature to turn its attention to less prosperous communities outside of Chittenden County, saying, “Let’s make this session their session.” House Speaker Mitzi Johnson (D-South Hero) and Senate President Pro Tempore Tim Ashe (D/P-Chittenden) have made similar pledges. The governor’s speech came during a break in a daylong debate on the House floor over whether to legalize marijuana. Scott took a jab at the legislature’s ongoing effort to pass a legalization bill similar to one he vetoed last year. Immediately after the governor’s speech concluded, the House resumed debating the bill, which Scott now plans to sign if it reaches his desk in its current form. Scott also highlighted the importance of addressing the state’s ongoing opiate addiction crisis. He said his administration would work to increase the number of treatment providers and help people in recovery find employment. The governor didn’t give Democratic leaders much to criticize. "A lot of the policies that he was mentioning are things that we are working on and we have been working on together. So I don’t think there were any surprises in his speech," House Majority Leader Jill Krowinski (D-Burlington) told reporters later Thursday. Both Krowinski and Ashe said they shared Scott’s goal of attracting more workers in principle, but Ashe expressed skepticism about the governor’s chances of succeeding. "The rub is every state would like more younger workers in their state and silver bullets to achieve that have been elusive.” Earlier attempts, he said, have cost a "tremendous amount of money with very little payoff." The Democratic leaders also doubted whether Scott could deliver on his agenda without making harmful cuts elsewhere. "We don’t have any details on exactly how he’s going to be paying for these programs," Krowinski noted. Referring to Scott’s stated aim of promoting "economic growth and affordability, while protecting the vulnerable," Ashe said, "I think this is going to be more of a gut check year about what actually is meant by 'protect the vulnerable.'"